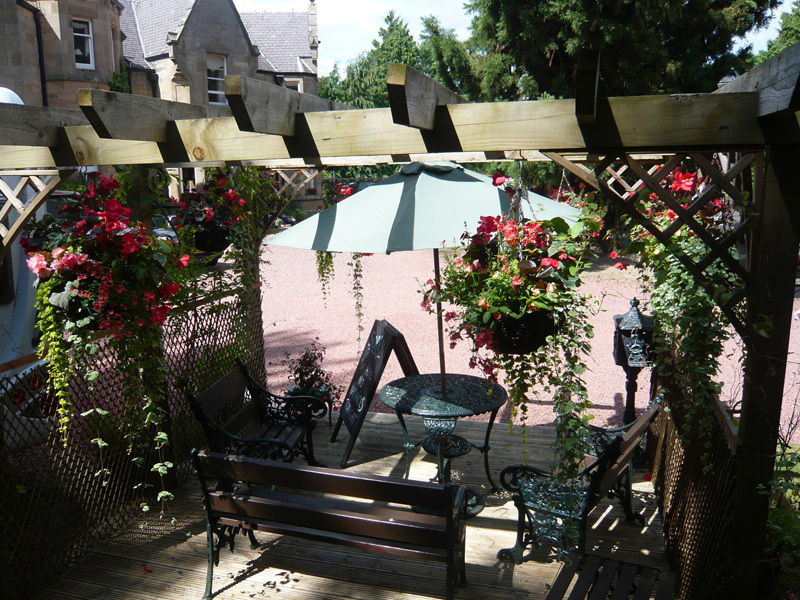 Binniemyre Guest House may only be a short ten minute walk from Galashiels town centre, but as the house is set well back from the main road, the extensive and very private prize winning gardens provide a quiet haven to sit out in on warmer days. 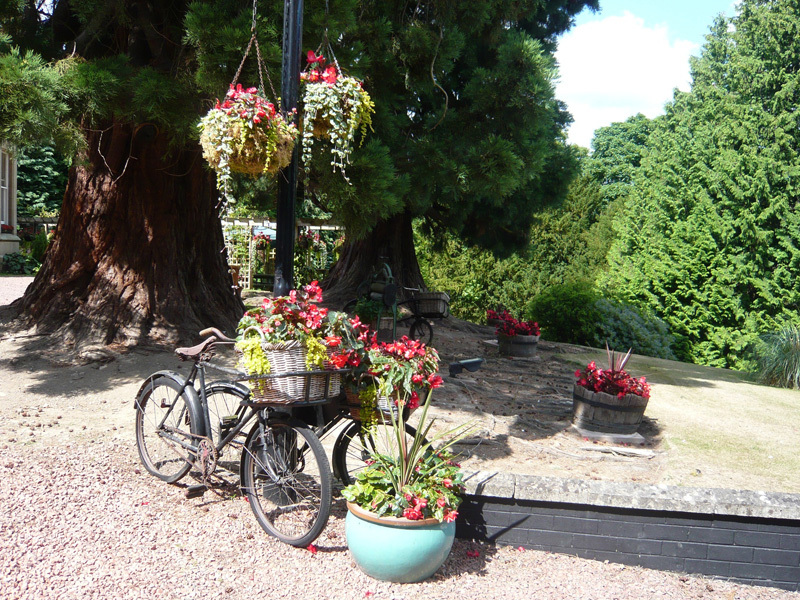 Our gardens have been prize winning for the past eight years in the Galashiels in Bloom competition. For six of these years we were awarded first prize. The gardens are set with a sweeping lawn and mature planting including wonderful rhododendrons which add a spash of colour in early Summer. 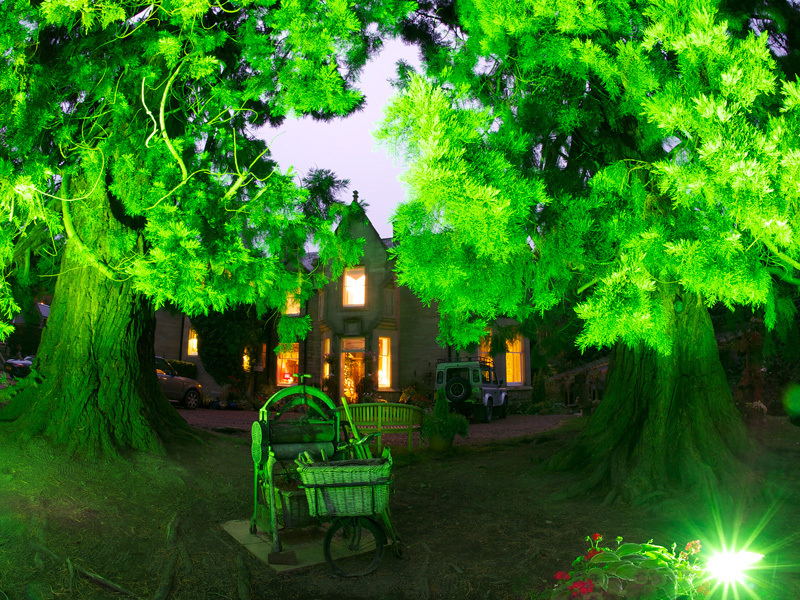 The two 100 foot Canadian Firs stand tall and proud over the house and gardens and, for extra atmosphere, are floodlit in green when dusk falls. 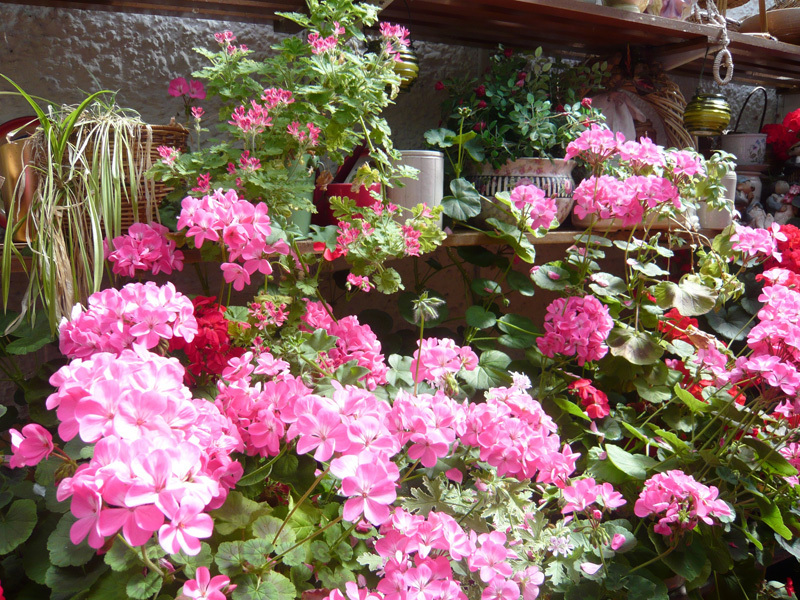 In the Summer months the gardens and house become a riot of colour with in excess of 80 hanging baskets, window boxes and other floral displays. We also care for 40 fan-tailed doves, who might pay you a visit as you enjoy our various garden areas. On warmer days, you’re welcome to use any of the five outside seating areas. 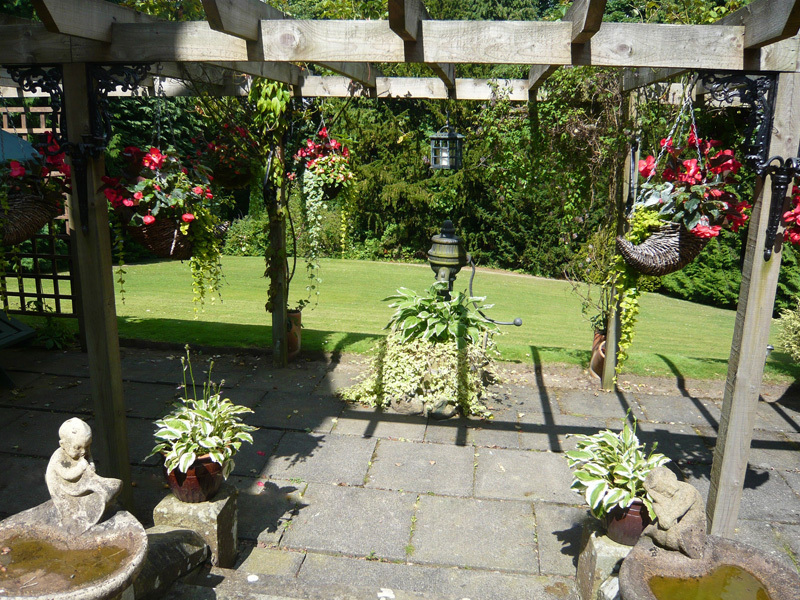 Three are situated within flower-decked pergolas at various points around the house. 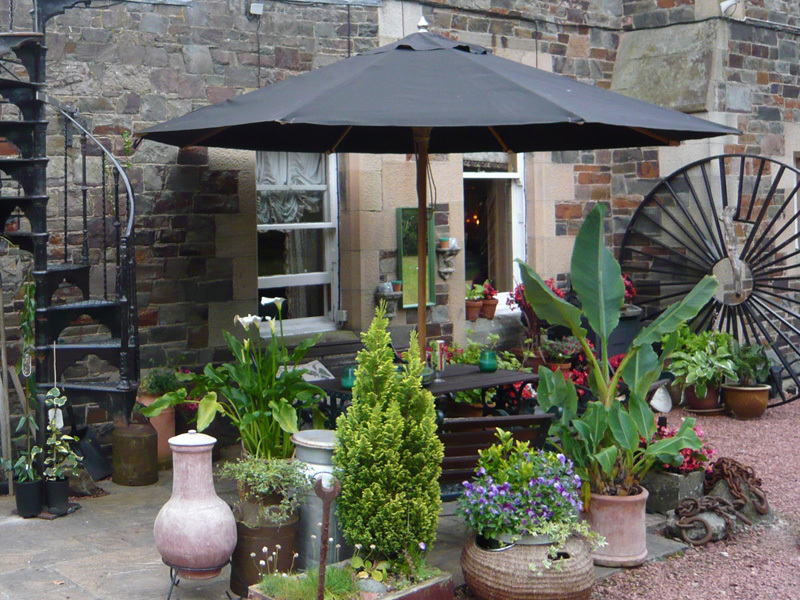 There is a roof terrace with sunloungers for the odd occasion in the Scottish Summer where you may wish to sunbathe, this terrace is accessed via a wrought iron spiral staircase. 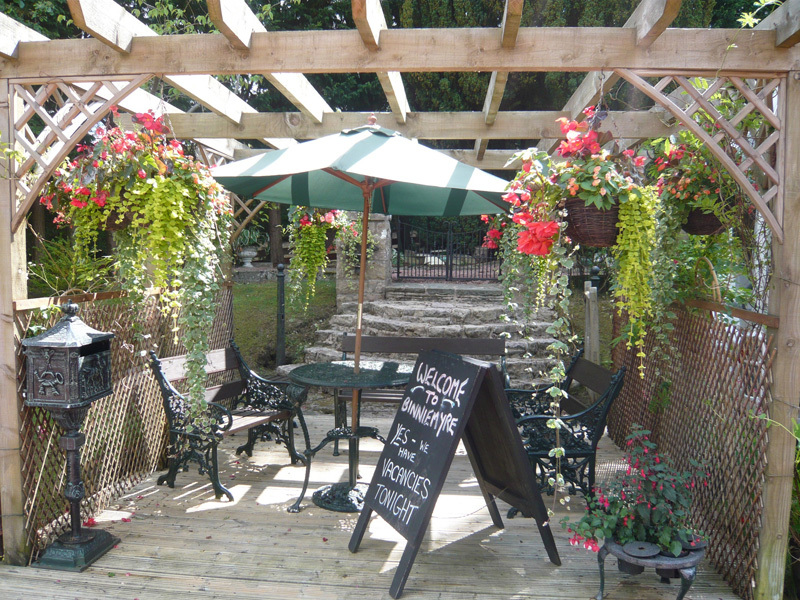 Other areas include a seating area complete with umbrella situated next to the cooling and tranquil waterfall. 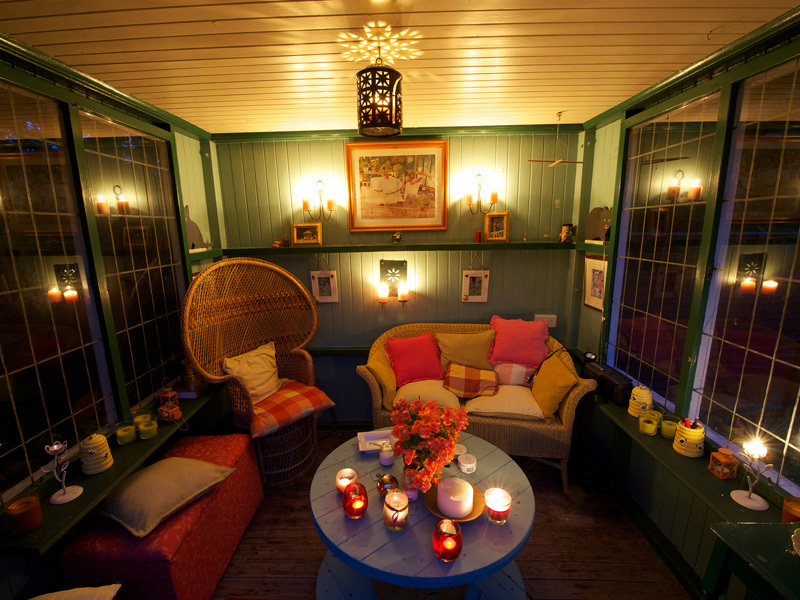 There is also a cosy summerhouse, with comfy seating and a table which we light up with candles as dust falls, should you wish to enjoy the outdoors for a bit longer in the evenings. You can get a flavour of the gardens by clicking on the photos in our Garden Gallery opposite.